The art of film is a powerful one, one that at any moment can veer from genius into sublime disappointment or, just as easily, the opposite. It is mainly a visual medium so strong that images and scenes can stick in one’s head longer than the name of a forgotten ex-girlfriend or the address of a childhood home. And each image conjures a memory of time, place, and surroundings, transitioning it from more than an image to, essentially, a part of your life. Some images and scenes are more treasured than others but the fact remains that at any moment you can conjure up a scene or a line from a film as easily as you take a step. So to remake a film, one must fight against all the images, characters, lines, and scenes of the original that play in your head like a never ending carousel going ‘round and ‘round and ‘round, and create something new and hopefully just as appealing. But with so much of the magic of film lying in the realms of unexpectedness, that unidentifiable factor that evokes emotion and establishes deep-rooted connections between the characters and audience, one must ask – is there an art or a point to retelling a story that worked well in the first place? Is trying to recapture the magic that made a film unique and genuine and effective a sign of artistic impediment or does a creative force (director, producer, screenwriter etc.) attempting to remake a film see the original as flawed, outdated, or stricken with some sickness that only they can cure, thus propelling their version of the story past the definitive mark the original engrained for itself? Or are they so enamored by an original piece of work that they themselves must take a hand in re-creating a world that so inspired them in the first place, in hopes of enlightening others? Or are we just running out of good ideas? Whatever the case may be, remakes do not appear to be a trend that will slow down, so in the coming weeks we will take a look at some recent remakes that worked and some that missed their mark. This is one of the rare instances where the remake actually outshines the original while giving artistic credibility to remaking a film. Released in Hong Kong in 2004, “Infernal Affairs” gained critical praise and attained box office glory, leading to two underwhelming but never the less successful sequels. The film stars two of Hong Kong’s biggest actors, Andy Lao and Tony Leung, and features a solid if jumbled plot and some of the best cinematography to come from Hong Kong in the last number of years. Andy Lao, right, and Tony Leung, left, in "Infernal Affairs"
The film follows undercover policeman Yan, played by the incomparable Tony Leung, who brings a vivacious life to a man trapped in a dangerous world. Yan has been undercover for ten years, the last three of which he has been getting deep into the operation of local gangster and drug runner, Sam. But unbeknownst to Yan, Sam has placed a mole of his own in the police department, the career minded Inspector Ming, played by Andy Lao. While it is sometimes difficult to follow exactly who is who, the performances of Leung and Anthony Wong, who plays Yan’s boss and sole confidant, outshine any confusion or gaps in the story. 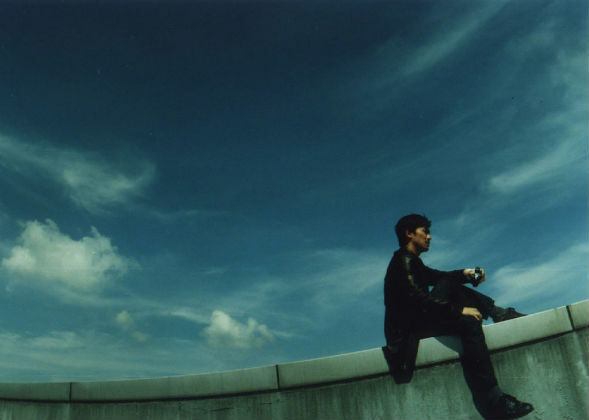 But what is even more impressive to see is the production value and dedication of directors Wai-keung Lau and Alan Mak, who bring an unrelenting flare to the visual stimulus of the film and whose respect for the story always keeps you interested in the characters and, more often than not, their unfortunate situations. And while “Infernal Affairs” is good in its own right, Martin Scorsese’s Oscar winner “The Departed” is a whole different breed of film. The most distinguishing separation between the two are the scripts. 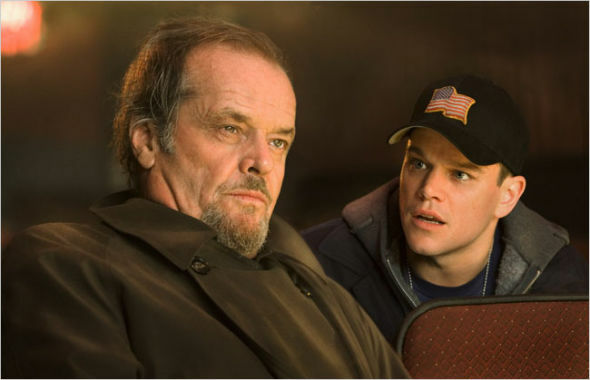 William Monaghan, who won an Oscar for his adaptation “The Departed”, has crafted a story clearly inspired by the original but much more fulfilling in character development and plot. It is as if he saw the flaws and separations in the original story, of which there are a few, and sews them up, adding his own flavor of hard hitting dialogue and more connected plot lines, creating his own world inspired by but much more thought out than the original. Most importantly, Monaghan has taken the story to Boston, where the gritty careers of the protagonists and antagonists can be shown in its rightful light. Attracting a cast including the likes of Matt Damon, Leonardo DiCaprio, Jack Nicholson, and Martin Sheen and under the direction of Martin Scorsese, the script has the opportunity to come to blossom. Where some things were left unexplored in “Infernal Affairs”, the twisty and intrinsic plot of “The Departed” opens the door for more action, more danger and more appreciation. Scorsese has an affinity for violence, which rightfully, or ironically, would channel through a man who almost became a priest. He is so far removed from violence that he can see it as it truly is, and he captures it on the screen unlike any filmmaker. His direction is seamless and often unapparent, which is the true sign of a great filmmaker. Every direction and action takes the form of unfolding before your eyes, never letting you get caught up or invested in anything but the developments on the screen. Thelma Schoonmaker, Scorsese’s long time editor, has a swift and biting style to her editing, which is a bit off putting at first but really catches on, bringing to light the correlation between the rough editing and the gutter scraping, rough and tumble nature of the story. The best thing “Infernal Affairs” has going for it is the acting and technical panache, and while Leung blows DiCaprio out of the water in his approach of a man held undercover in a world he does not want to be a part of, the entire cast of “The Departed” is more defined in their characters and guide the audience through the movie with a rugged, if graceful, gait. 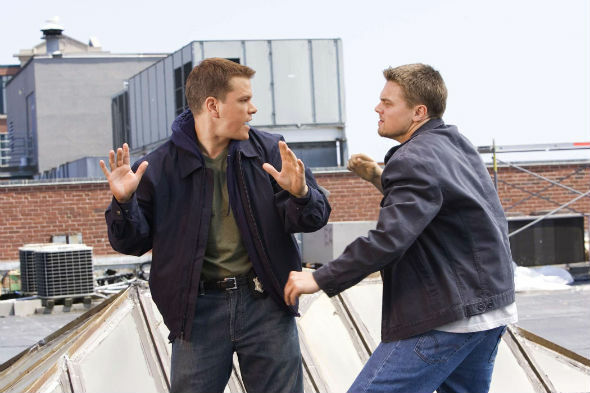 Matt Damon proves himself a man of immense capabilities, creating a conniving character that can charm as easily as he can infuriate. He is visceral and much more rounded than Tony Lao, who was a bit bland in his role as a policeman with mixed dedications. Nicholson too is a thousand times more threatening than Sam. Eric Tsang, who played the slowly trumped criminal in “Affairs”, isn’t nearly as frightening or determined in his grasp as Nicholson was as Frank Costello, whose seemingly fading hope to keep out of the hands of the police starts to wear him down and at points brings him to cracking. And just leave it to Jack Nicholson to bring a frothy tenacity and strange sense of humor to the part. Two much appreciated additions to the story are Ray Winstone and Vera Farmiga, who bring depth, murder, stability, and humor to an already brimming talent pool. Lai Yiu Fai and Andrew Lau, the cinematographers for “Affairs”, created a brilliant version of Hong Kong that took the city under a lens and blew it up on a grander scale, thus challenging Michael Ballhaus to rise to the occasion for “The Departed”, which he does, creating an atmosphere fascinatingly dire and a color pallet exalted under his and Scorsese’s watchful eyes. There are lots of indications of inspiration from the first film to its remake, including little hints of Howard Shore’s score splattered but not fully formed in the original film, which often diminishes scenes with its overblown musical accompaniment. 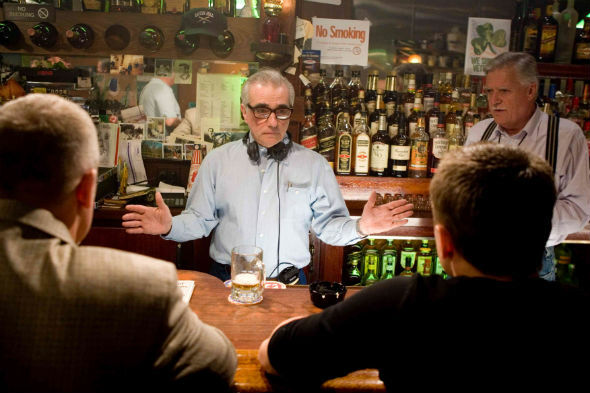 But with “The Departed”, Scorsese and Monaghan are so decisive in their artistic endeavors that they have created a story fully immersed and dedicated to itself, never giving in to the idea that they are remaking a good film, but rather taking their turn at tackling an interesting and emotionally gratifying story.